Anyone who likes to bring a light or two on-location knows the frustration of wanting soft, controllable light that won't weigh you down or break the bank. The Westcott Apollo Orb is, without a doubt, one of my favorite lighting modifiers. As you'll see below, the Apollo Orb has just about every feature you could ask for in its unique, somewhat-brolly-box-style design, all at a modest price point. 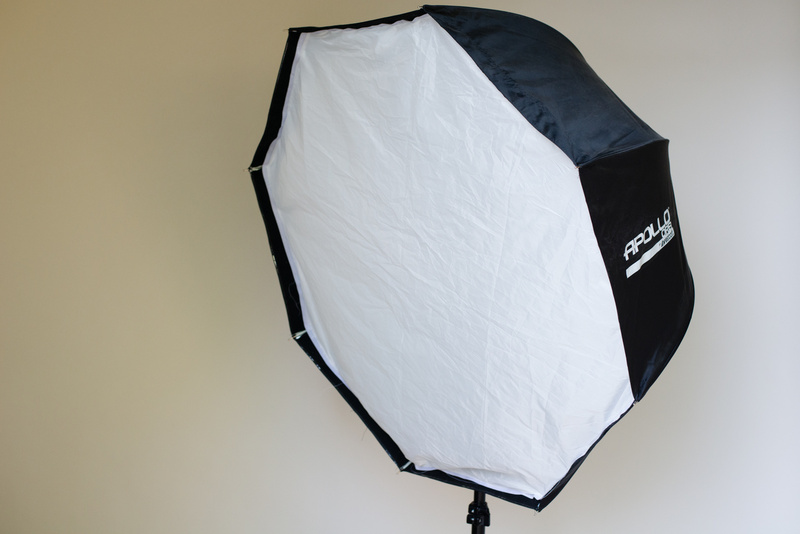 The Westcott's Apollo line comes in several different sizes including the Apollo Orb, a 43" octagonal brolly-style softbox (as reviewed below), the Mega Apollo, a 50" square softbox, the Apollo, a 28" square softbox, and the Apollo Strip, a 16" by 30" strip box. 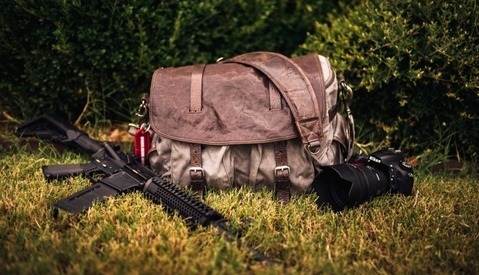 All of these are designed for use with a single speedlight or small monolight to be as quick and mobile as possible. I personally chose the Apollo Orb because it gave a good balance between modifier size, price, and ease of use. The Apollo Orb in all its glory. Setup of the Apollo Orb couldn't be easier. 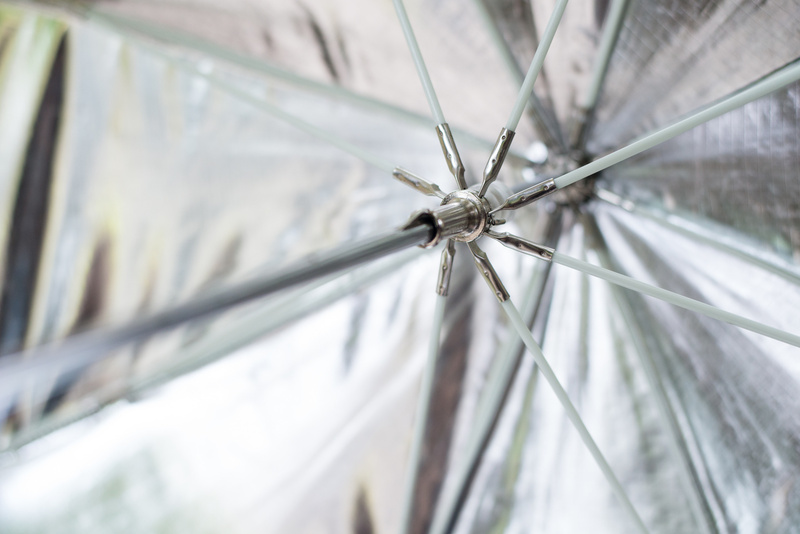 When broken down it's quite a bit like a normal studio umbrella, it's quick and easy to open. A lightstand or monopod (if you're using a V.A.L.S.) slips right in through a zippered space in the bottom. After you've put in the speedlight, the diffusion material can quickly be Velcroed into position and you're ready to roll. My TT850 is absolutely dwarfed by the 43" Apollo Orb. While it's certainly not the smallest modifier out there, the Apollo Orb's 43" design is big enough to give beautiful, wrap-around light in a studio setting while also being small, light, and portable for shooting on location. While the flash does sit a few inches above the center of the umbrella, as seen above, when set to the widest zoom setting (mine's on 50mm though it should be 24mm) it fills very evenly. 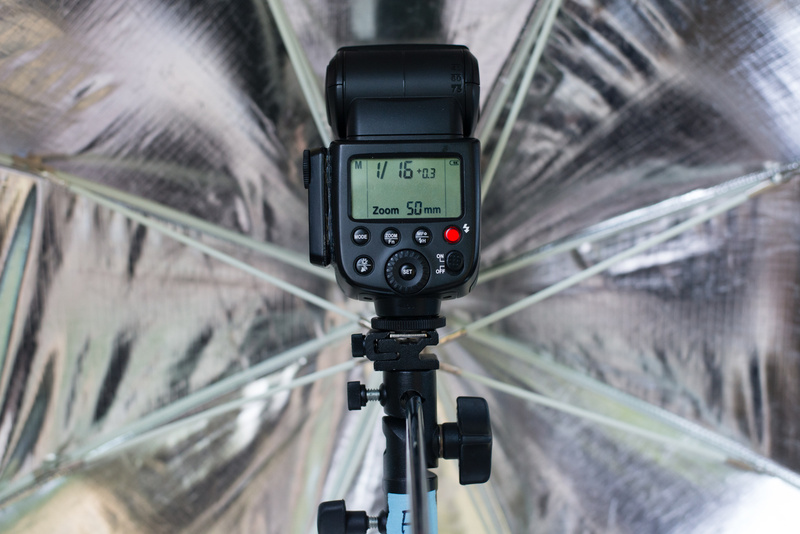 When I bought my first Westcott parabolic umbrella a few years ago, I was very pleasantly surprised by the build quality and attention to detail. The Orb is absolutely no different, even after handling it for a couple minutes you'll notice the painstaking precision in the manufacturing, and the robust feel of a product that you'd assume was twice or three times the price of the Orb. As seen below, Westcott uses fiberglass supports rather than traditional metal ones which can bend out of place easily. 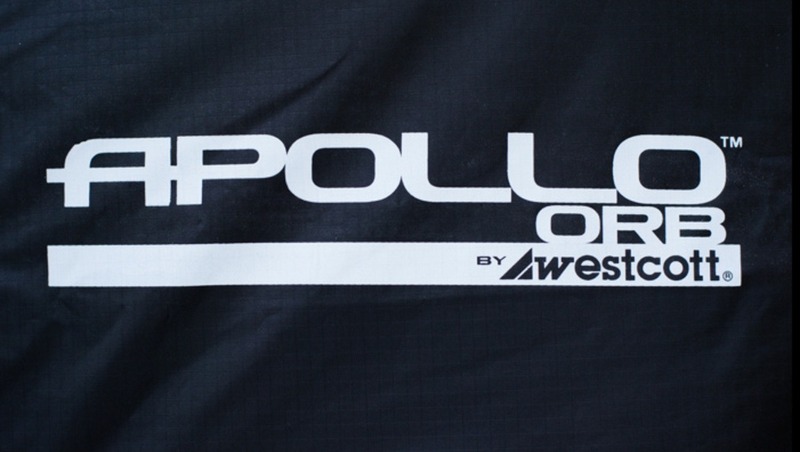 Like the rest of Westcott's umbrella line, the Apollo Orb sports fiberglass supports that are both durable and flexible. They won't bend out of shape like old school umbrellas. While I love a silver umbrella as much as the next person, I think it'd be pretty rad if they made the Orb in flat white like some of their other products. If they did, I'd probably end up using the Orb without the diffusion material from time to time when I wanted a different look without breaking out a different modifier. The Apollo Orb has quite a bit of front/back and side-to-side movement. Their clever little zipper setup lets you to make as much room as you need and allows for a lot of tilt if desired. In addition to the included diffusion material (I wish I could buy a second layer), Westcott offers a 40-degree egg crate that I still have yet to play with. While it's a little on the pricey side (given the price of the Orb itself), it's another way to get several different looks out of the same piece of kit. Without the egg crate, the falloff is even and lovely (excuse the wrinkles in my seamless). Of course, I can talk about a product until I'm blue in the face, but it won't do you any good until you see the results it can produce. Below are a few images I've shot with the Westcott Orb as my only modifier over the last couple months. Again, the unique design of the Orb gives it the benefits of both an umbrella and a softbox. As seen above, the light is soft but also very easily controlled to not allow spill on my neutral gray backdrop. The closer you place the modifier to the subject, the more dramatic the falloff, and because this is a speedlight modifier, you can shoot with it really close to your subject at low power which will allow you to shoot at fairly wide apertures. When backed away from the subject, the Orb gives flawless, even light. 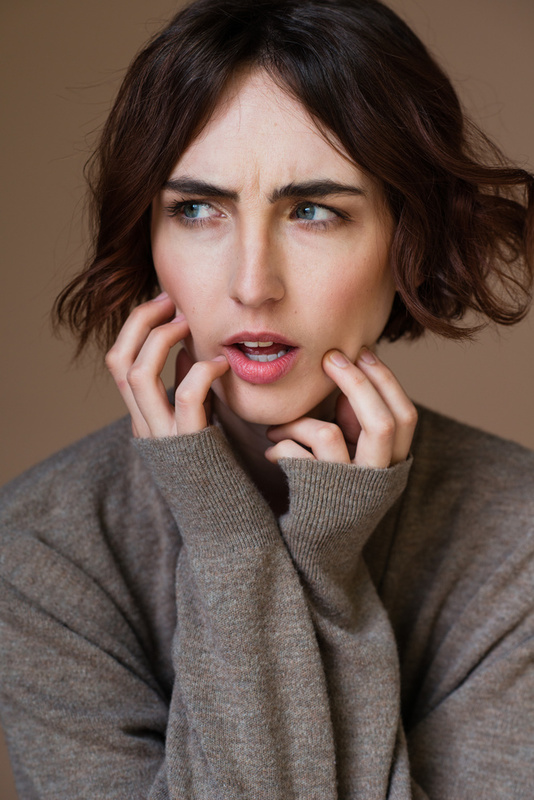 The setup above was shot with the Orb slightly offset to the right and daylight fill with a white reflector below. Back the Orb even farther away and you get lovely even light. The image above was shot with the Orb offset to the left. While I have used the Orb to light a full-body, it's always been in a situation where I'm filling an otherwise naturally-lit scene. I'll be sure to update this article if I do something with a full-body studio shoot with the Orb. Design. The Apollo Orb's unique design takes what I love about umbrellas (soft-as-heck, easy-to-use light, easy setup) and softboxes (directional, controllable light) and combines them in a single modifier. Apollos are the only modifiers I bring with me any more. Build. Even after a couple months of abuse (being stepped on, blown over by the wind, etc.) the Orb is holding up like a champ. Ease-of-use. It takes 60 seconds to have a lightstand setup, the Orb put on it, a speedlight set inside it, and the diffusion material added. Try doing that with a normal soft box. Its 43" design makes it big enough to give some lovely wrap-around light while also making it manageable for hauling around all day (even if you have a friend-sistant doing it). The results. It's hard to argue with the light this system produces, especially at its sub-$150 price point. Price. Again, at $129 for the Orb, you really can't argue. Accessories. I may be the only one, but I don't like the idea of paying an additional 50 percent on the cost of the modifier for an egg crate. I'd also love, love, to be able to buy another layer of diffusion material. Product diversity. Most of Westcott's other products come in a variety of flavors including diffusion white for shoot-through, silver-lined, and white-lined. I'd love to see Westcott roll out a white-lined Orb or even a gold-lined one for the adventurous types. Bigger. I'd love to see a 60 inch plus Apollo Orb that's designed for either two speedlights or a monolight. Hands down, the Apollo Orb is currently my favorite modifier and is the reason my Softlighter II has been left at home a lot recently. I'm still finding new ways to use the Orb and couldn't be happier with my purchase. You can pick up your own Apollo Orb from B&H for $129.90 on its own or a kit for $149.90 which includes the Orb, a light stand, and shoe mount. It's long enough to come out the bottom of the orb so you can tilt the orb from outside. I recommend a decent light stand since this does change the weight distribution when tilted. I'm curious why you like this better than the softlighter? I have an Apollo box and actually dusted it off last week for a wedding. I was reminded how much I hate having the light inside the box and tilting the box down is a pain because of the zipper construction. Seems like the Softlighter does this is a similiar fashion but allows the light to remain outside the diffusion material which makes changing settings much easier. I was about to say the same thing. Given that I use the Nikon CLS system having the flash inside of the diffuser is no bueno, which is why I picked the Softlighter over the orb. The lack of ability to tilt was my only real complaint with the Westcott boxes(I own them all except for the Mega Apollo) but with a little more cash I bought a Phottix Multi-boom which allowed me to both tilt it and add multiple flashes into one box. I generally throw two in the Orb for extra power or to keep the recycle times quick. For speedlight based work they're a pretty reliable and low-cost point of entry into off camera flash. Once again, this is where the Canon 600EX-RT shines. You can put them in the same group inside the softbox and change the settings directly from the camera. Sure thing dude. I love the versatility of it, how quickly it sets up, packs down, etc. I also like the strobe being inside the modifier. Since I use an RF trigger I don't need line-of-sight to the strobe and can control the output from my camera. Don't get me wrong, that softlighter is da bomb but I can get a little more flexibility out of the Orb. 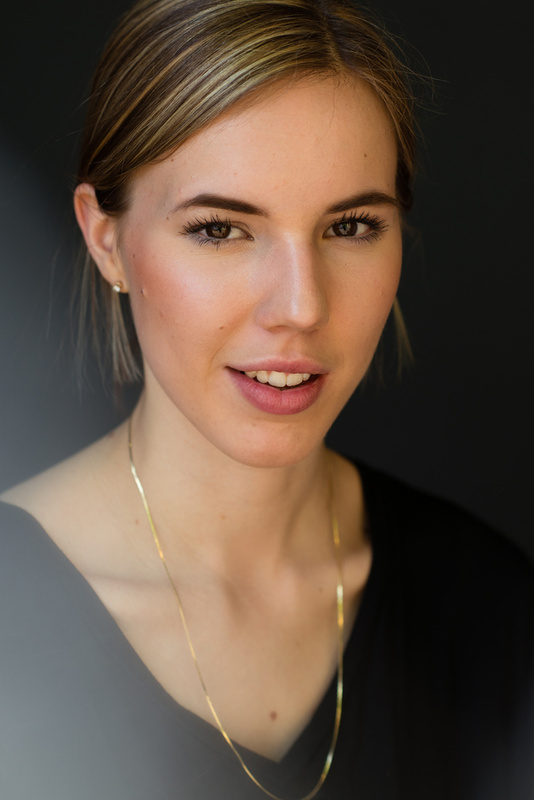 One advantage of Apollo-like designs over the Softlighter is the smooth catchlight in portrait closeups. Softlighter-like designs have the strobe and light stand in front of the diffuser, creating a "snake eyes"-effect with a split catchlight. A deeper more parabolic mod produces a higher quality of light due to photons bouncing around in a larger volume of space. The orb is deeper than the softlighter. 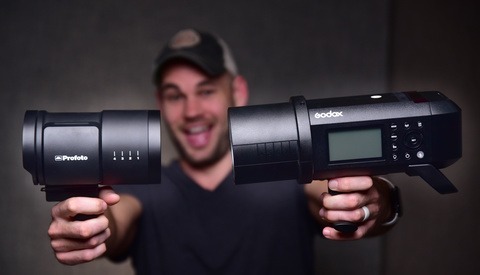 What’s better than both of these is the Profoto XL. Build like a tank and the lighting output is unmatched. Wind destroyed my 1st orb on the beach. Hopefully the frames are not aluminium so they were not bent. it tooks me a while to put it back up but it is usable again. The older Apollos had aluminum ribs that could bend in situations like these. The newer ones all are some type of resilient fiber that seems a bit more springy and durable. I had this issue with my. I just zip-tied in some rods from the hardware store to reinforce the bent sections. Works great now. Great article, I use the 30" octabox from dx.com http://goo.gl/8PRQvV along with a multi boom from strobe pro http://goo.gl/hUaQNo which solves the issue of the octabox not being able to tilt. As for not having to go into the octabox I use a yongnuo 560 III flash with a 560tx controller, so I can just change the power from the controller. It's my current favourite setup as I am always on location. I shot this image last Friday with the octabox. Also the one difference with the dx.com octabox is that the metal spokes have plastic reinforcement rods, so hopefully it will last longer than the one I had from cowboystudio. Curious to see how it compares to the Phottix version. I used the orb to get this shot this past Friday, for all of Austin's reasons above, but I used a tri-flash bracket in order to make the shot happen. Orb works for me. 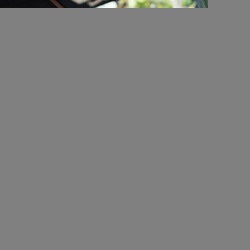 Here is entire shoothttp://www.sunnykaura.com/?p=1942. I love mine. I take it to weddings and use it for couples portraits and group shots. 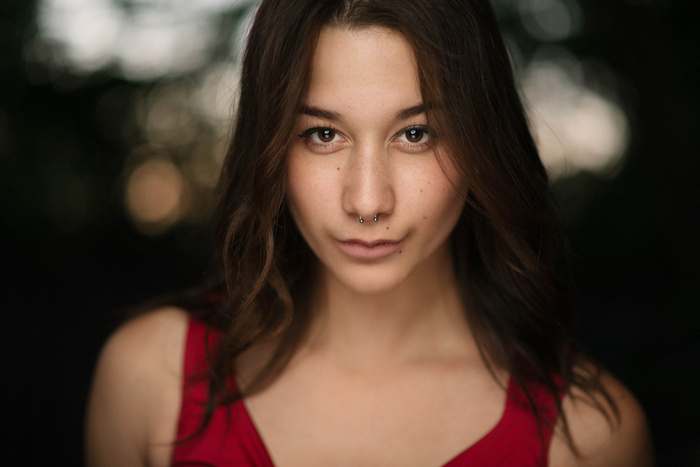 I've also used it for portraits on location and it's definitely the best modifier I've used for speedlites. I've even used it with a monolight, but it's not really designed for that and even with my small heads it pushed the front diffuser out sightly, but that was in part due to the small umbrella aperture on the monolight. 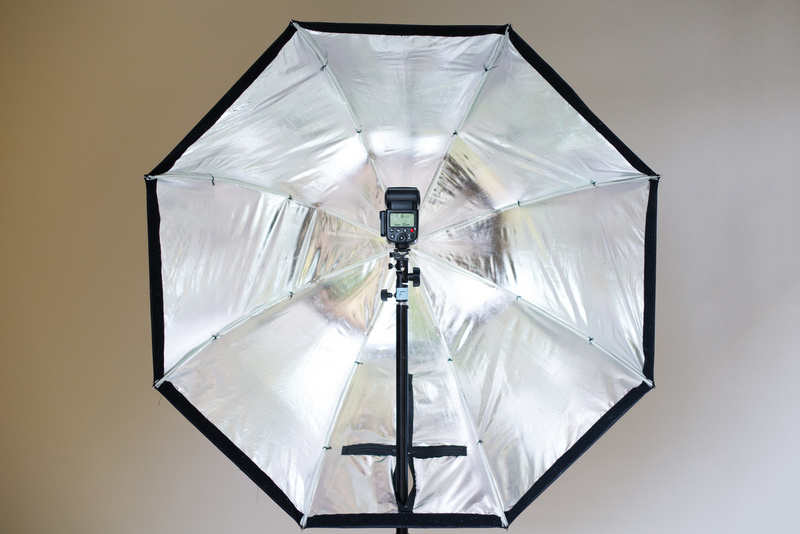 This is nice and handy to travel with a softbox, but iam using Godox umbrella instead.. same but half the price! I think I've seen those on Amazon, they're 36"-ish right? TBH I'm using Godox / Neewer flashes and triggers. :) I love my set of TT850s. Not a fan of this design. In my view this is fine, but you can't tilt it without a kludgey process. If I want to change the group on my Odin receiver, I have an exercise in making a sock puppet work. :-) If I use just my EX-RT(s) wireless, it is fine, but I like to mix my Indra 500s and speedlites in my shoots. Maybe some advantage in centring the modifier/strobe over the stand but it's still a tilt nightmare and not as flexible as a flash outside the modifier. Yeah, reaching up through the bottom to get to the knuckle can be a little fiddly, typically I just go right through the front of the modifier. ;) We should get assistants so we never have to do it ourselves again! I think the reason grids are so expensive is because somebody owns a patent on them and it is not cheap to license. I bought two Plume Wafer Hexoval softboxes at a rental house that was closing down. When I went to buy grids for them, I couldn't believe my eyes. The 180 Hexoval is $680 brand new and the grid was $700! Check ebay for a "chinese knockoff" of the unit you're using. Many times they will come with grid. 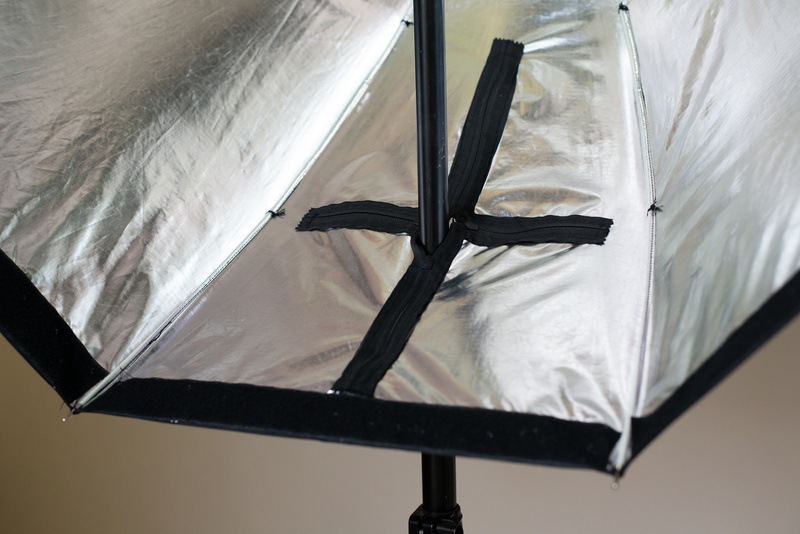 I was able to get a grid for a Photoflex softbox I have here for $28 shipped -- and it included a free crappy softbox with it. Yeah, the box was junk, but a grid is a grid. So I decided to go ahead and by one! I'm new to light modifiers and all that jazz. I have a 600ex-rt flash. I'm just not sure about the best trigger to use for it so I can take full advantage of the Orb. Any suggestions? I bought my Orb when it first became available, however the first generation had thin steel ribs that were fragile and could easily be bent. I am very excited that Westcott now uses fiberglass ribs. The New Orbs are sturdier. I agree with all the acollades regarding using the Apollo Orb as a softbox, however if you remove the diffusion panel the deep parabolic shape creates a more directional light with a quality more similar to a beauty dish or parabolic. I use my Orb without the diffusion panel as often as I use it with. Great when shooting athletic models. 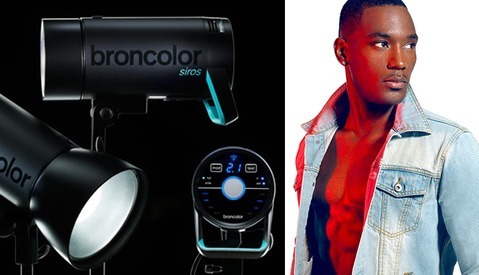 I haven't tried mine without the diffusion material but I'm dying to. I also have the grid which is kinda nice. Do it dude! It's a pretty unique look. Gives a feel similar to a deep para. I have five Apollos and I love 'em. I even use studio strobes (Einstein's) inside them in my home studio. The main missing item in the box for me is some kind of carrying/storing bag. I have them stuffed inside the pocket of a large roller bag or else in a old cardboard box on my shelf. Bleagh! Westcott can do better than that! I agree that the one downside with the Apollo line is that they don't include even a cheap sleeve to put them in. i've been using the cheap 120cm umbrella octa from aliexpress/ebay, they look exactly the same from what i can tell from the pictures, but you also get a grid for less than half the price. The only difference i can see is that the zipper on the Orb is a cross and the cheap ones only a straight line. Does it matter at all? anyone compared the two? i've resolved the tilting problem by using a boom. During the last year or so i've also have a front cloth that i've just cut a hole in the middle and is using it like the softlighter. Glad to see that they've updated the design. I had the first two generations of this. The first had aluminum rods that broke easily. The main issue I had with the first gen was that even the main rod for the thing would split in half and the bracket for the umbrella could no longer expand. The second gen they sent me a new one for free that still has the aluminum rods for the umbrella part but a solid thicker main metal rod in the center that can't split. I use it for 80% of the shoots. Only complaint still is the restriction on the tilt angle but I love the light it produces.